Doctor Who Twice Upon a Time 2017 Christmas Special Trailer! Doctor Who 2017 Christmas Special Comic Con Trailer! Check out the Doctor Who Twice Upon a Time 2017 Christmas Special Trailer from San Diego Comic Con 2017. 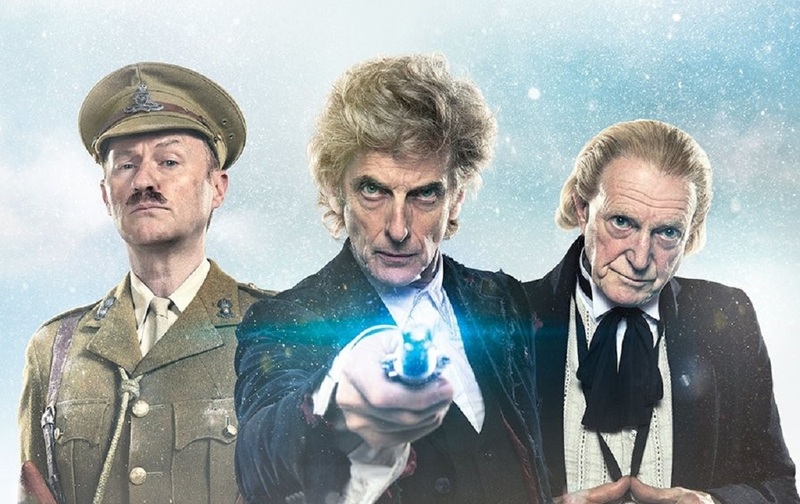 This is the first look at the 12th Doctor’s final story in this years 2017 Christmas Special, where Peter Capaldi’s incarnation will team-up with David Bradley as William Hartnell’s 1st Doctor, Pearl Mackie also returns as Bill, and Mark Gatiss guest stars in this special episode as a World War One soldier before Jodie Whittaker takes over as the 13th Doctor! I’m So excited for this Christmas special! David Bradley was superb as Hartnell’s first Doctor in An Adventure in Space and Time – will look forward to seeing him again! No specific comment on the DR. Who special. Just wanted to say that Great Britain just won the men’s 4x200m freestyle relay. Looked like a close race between them, the US and Russia for a while, but Britain pulled ahead at the end. Oh wow, that’s awesome! Just catching up with todays news N stuff, great it was so close as well! With the inclusion of the first Doctor and the Twelfth’s regeneration this is set to be a very promising special. Yes, it’ll be great to see the 12th & 1st Doctor’s team up in this episode. Will make for a very exciting Christmas Special – especially with the regeneration as well.